“Suppose we suddenly wake up and see that what we thought to be this and that, ain’t this and that at all?” , Dharma Bums – Jack Kerouac. Better late than never Santorini part two. Santorini, one of the Cyclades islands in the Aegean Sea. It boasts spectacular views, sunsets, colourful doors, white washed walls, beaches, cliff hikes, boat rides and vibrant flowers. You can walk for hours through the little streets browsing through the boutiques and sipping an espresso freddo whilst watching the day pass soaking up the ambience. For accommodation booking.com offers a wide range based on budgets. 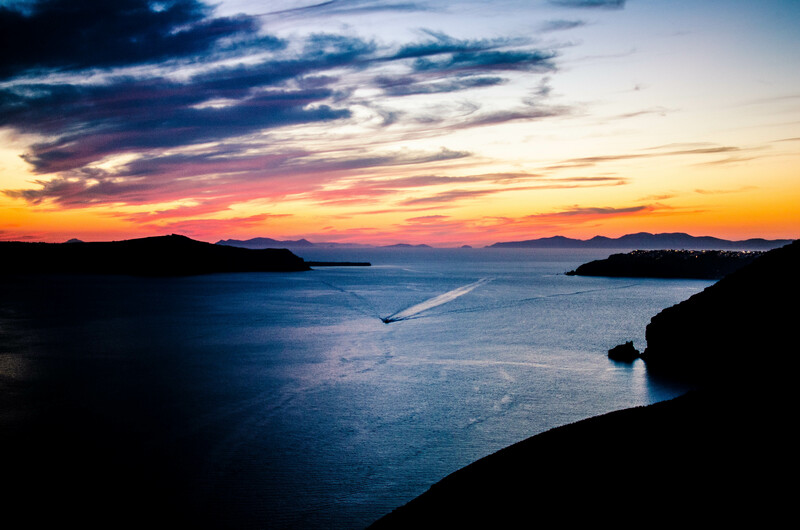 Below is a series of images taken in Santorini between Fira and Oia. Have you been to Santorini? What is your favourite memory?